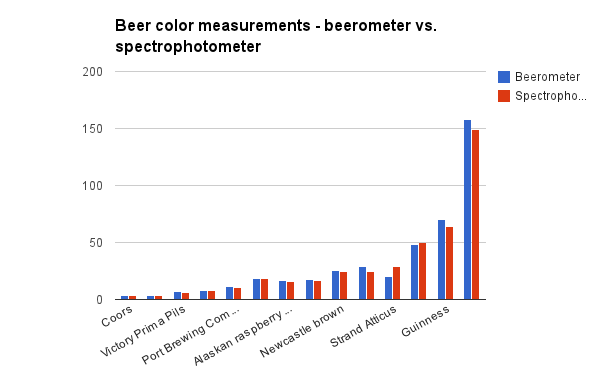 We have been able to verify the beer color data we were getting from the beerometer prototype by comparing the data to a commercial spectrophotometer. Note that the data was not taken on the same day, and dilutions (where necessary) were made independently. We would like to repeat this again in the near future.